Smithfield NC Homes rest on land that tell some of the earliest stories of the state and our country. 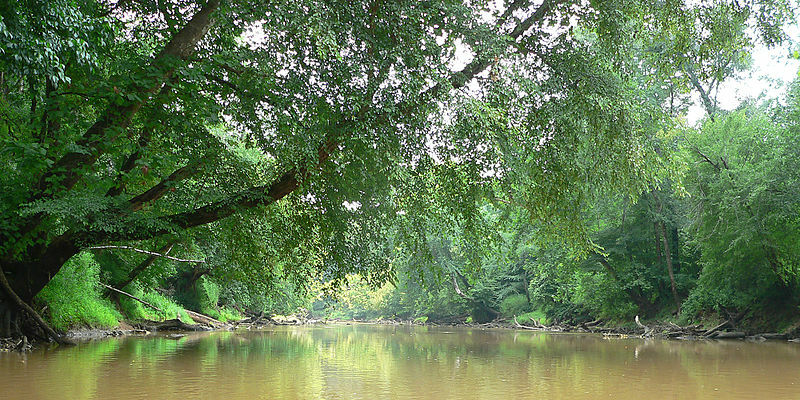 Smithfield was first settled on the Neuse River at around 1759 when settler John Smith, not to be confused with the explorer of the same name, began operating a ferry on river, according to the city's website. Smith's son secured 228 acres of it's father's land grant, overlooking the rushing Neuse, according to the site. The site known as Smith's Ferry, became Smithfield in 1777 shortly North Carolina claimed its statehood. Smithfield Homes offer prospective home buyers the opportunity to invest into property with rich history, just outside of one of the state's largest cities. Visit the History section on Smithfield's website to learn more about the city's past. Real Estate in Smithfield is served by miles of green space, located at a wide selection of venues around the cities. The Smithfield Commons, situated on the historic Neuse River, offers residents a respite from the indoors and the opportunity to navigate the river by boat or inner tube. Richardson's Bridge Boat Access offers boats a wide ramp onto the river. If you're interested in family homes for sale in Smithfield, be sure to check out the Smithfield Community Parks. The multi-sports complex offers youth access to all major sports, and organizes tournaments for residents. Smithfield Real Estate is also served by the city's arboretum, a conservatory for flora native to the area. As a Smithfield Home Buyer, you'll find that you're never short on activities located within the city's limits. Though Raleigh is on 32 miles away, there is much to do in Smithfield. The city is home to a brewery, several day spas, a country club, several taverns and cafes. The Smithfield Cinema and Howell Theater offers entertainment for residents of all ages. If you aren't yet smitten by Smithfield NC Real Estate, visit the Things to Do section on the city's website to learn more about activities in and around the city. The city of Smithfield always has a calendar packed full of events through each year. Owners of Smithfield Properties have bought into a city that gives back to its community and ensures that residents always have events that bring them all together. Annual events include an international food festival, a "Ghost Walk" during Halloween, an Independence Day celebration and a country music showcase. Contact Beth Hines if you're looking for Smithfield Homes for sale and would like to know more about the events and attractions the city offers. Beth Hines can also detail the city's history, provide more information on Smithfield's green spaces and help you carve our your piece of a city with much to offer home buyers of all backgrounds.